Would you like a new handle for your Viking Dishwasher? Maybe you want to switch from brass to stainless. 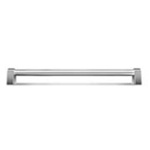 You will feel and see the difference with a brand new Viking Dishwasher handle.